Now they’ve teamed up with the wonderful Aromatherapy Associates to create possibly the most luxurious (and priciest) bath oil ever to have graced our tubs. 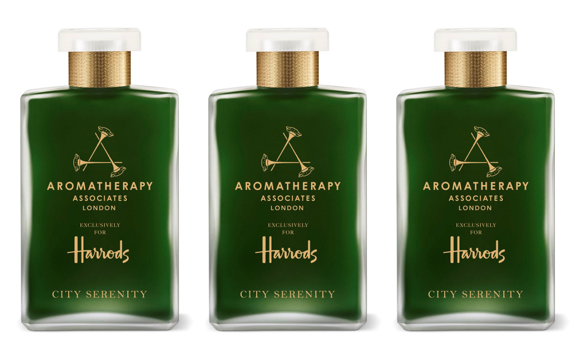 Limited edition City Serenity features 24 essential oils – including juniper, bergamot and pink pepper – all chosen to help defend against the stresses and strains of modern living. Which means it really ought to be available on the NHS – but instead, no getting away from it: this is lottery win stuff. (Northern Ireland’s Patrick and Francis Connolly will definitely want to splash some of their £115million EuroMillions on this ). We definitely feel we’ve won the lottery, getting our hands on a bottle. But let us tell you: if you’ve that kind of budget, it’s worth every bean.